Oz Comic-Con is Melbourne's ultimate pop culture event! Showcasing all the latest studio activations, comics, anime, cosplay, and video games. 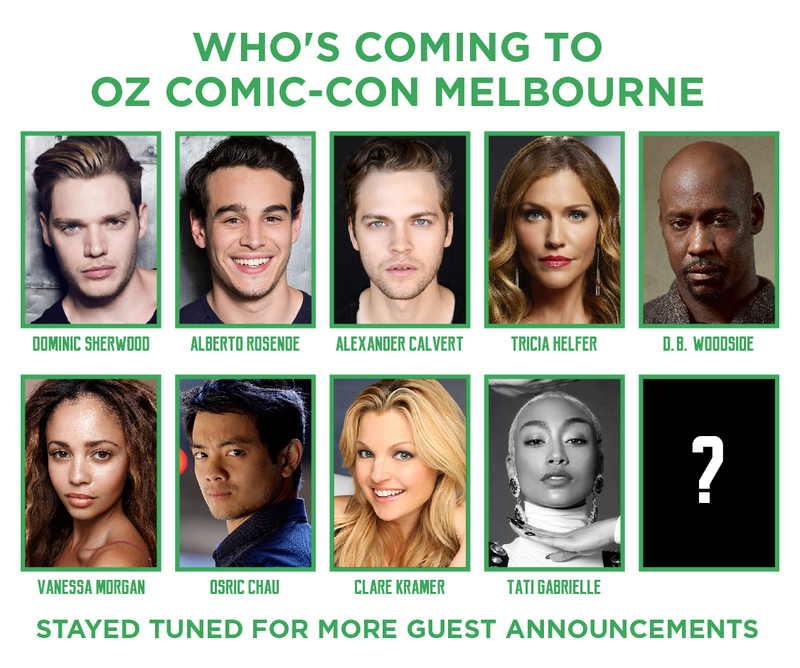 Oz Comic-Con Melbourne takes place 8th-9th June, 2019. General Admission tickets - Grants you access to the show. General Admission + Child Combo tickets - Grants access for one person, aged 13 or above, and for one child, ages 5-12 inclusive. Children aged 4 and under receive free entry with an adult. Platinum Pass - the ultimate Oz Comic-Con experience. Includes priority queuing, tokens, Platinum Lounge, access to a Friday night meet and greet session with guests! Priority Pass - skip the queues with priority entry to the event and priority queuing for all autographs and photos lines. Collectors Pass - For the collectors amongst us – weekend admission pass with our limited edition 2019 only Collectors Pass and Poster! Marvel Mega Fan Pass - For the Marvel Super fans! - priority weekend entry with exclusive limited edition Marvel A3 poster and merch. Experience Tickets - Experience Tickets are based on a guest or shows/movies. Experience Tickets typically include a dedicated experience panel, photograph tokens, autograph tokens and priority queuing when applicable. The Ultimate Experience will include an exclusive meet-and-greet with the guest. Oz Comic-Con recommends all children under 18 attend with an adult and all children 12 and under must have an adult with them at the show. All tickets that include entry into Oz Comic-Con allow you the chance to purchase photograph and autograph tokens. Tokens can be purchased online before the event or inside the event from the token booth. Tokens will go on sale closer to the event. Token limits for some guests may apply. Tickets to Oz Comic-Con are non-transferrable and non-refundable. Certain areas of Oz Comic-Con's venues are limited in capacity by the Fire Marshal and each theatre and panel has strict limits on how many people can attend. As such your ticket does not guarantee access to any or all of the panels, signings or photography sessions that take place during Oz Comic-Con. Change of advertised guests due to work commitments or other circumstances does not qualify for ticket refunds. Every effort will be made to replace the guest. Prices listed are for online sales only. All tickets must be scanned at the venue, where you will receive your wristband. Speciality ticket holders will be notified via email how to collect their wristbands and inclusions a week prior to the event. Oz Comic-Con accepts companion cards. Companion card holders must purchase their own ticket and will be offered an additional ticket of comparable access to assist you during the event. The additional companion ticket will only be issued on the day when the original ticket is shown along with the companion card. Additional tickets only offer access to accompany the card holder and will not include any additional items that speciality tickets may include. *Code of Conduct must be adhere to. © 2019 ShowClix on behalf of OCC. All sales are final. Tickets are non-refundable.